The video game sales chart for the week ending on November 19 in the UK did contain a few surprises, mainly that Ubisoft’s follow up to their 2014 game Watch Dogs has entered the list at number 2 while Assassin’s Creed The Ezio Collection is also new addition to the list, taking the number 10 spot and proving that the franchise remains as popular as ever. 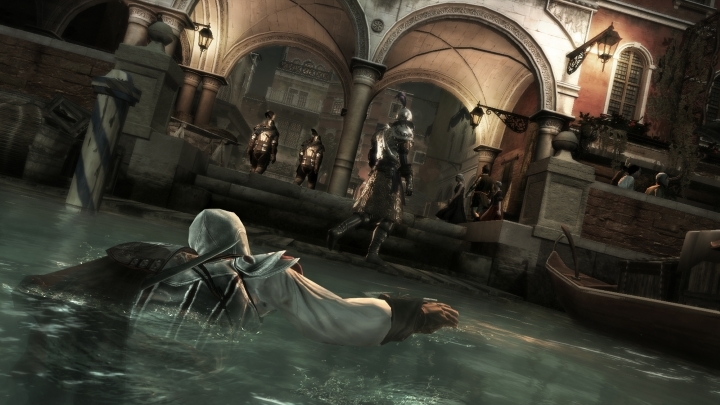 The Ezio Collection is a remastered edition of old Assassin’s Creed classics like Assassin’s Creed II, Assassin’s Creed Brotherhood and Assassin’s Creed Revelations, which were extremely popular back in the day and surprisingly gamers still clearly have a desire to play these games, the last of which (Revelations) came out in 2011. Also, it appears Ubisoft has another winner in its hands with Watch Dogs 2 which is now at number 2, although surprisingly sales are down 80 % when compared to its not-so-loved 2014 predecessor as reported on gamerant.com, despite the fact that this Watch Dogs sequel is a superior game in almost every regard. Something similar can be said regarding the no.1 top-seller on this list, Call of Duty: Infinite Warfare, which despite not selling as well as last year’s Call of Duty: Black Ops III (meaning it can be argued that Activision’s long-running franchise might be losing its magic touch) is still the best-selling game of the holiday season thus far. Also, it’s not surprising to see some of the year’s most eagerly anticipated video games like FIFA 17, Battlefield 1 and Dishonored 2 make this top-sellers list too, and given that 2016 is nearing its end we are beginning to see which games are likely to end up being the top best-sellers, in a year that has already seen quite a few great video games to date. Next: Will Disney’s Beauty and the Beast be a success in 2017? Will Star Citizen be the best-looking PC game to date?